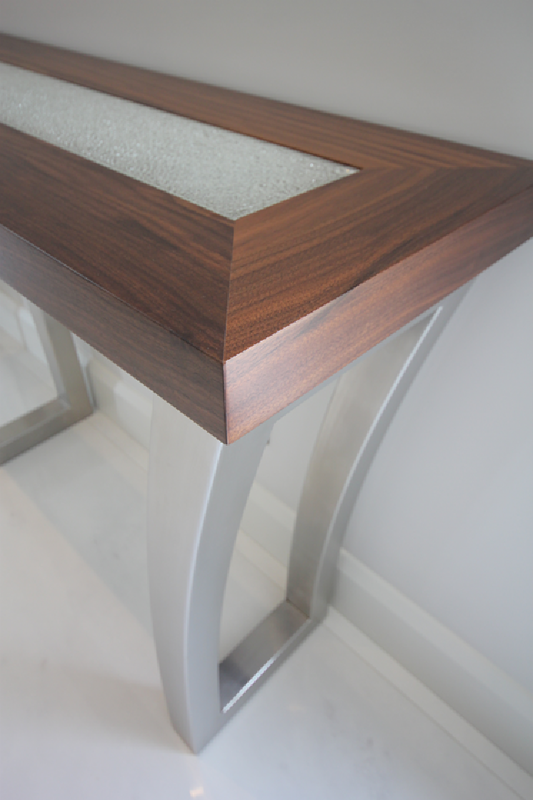 Elegant console tables with curved metal legs and walnut tops with inset shatter glass. 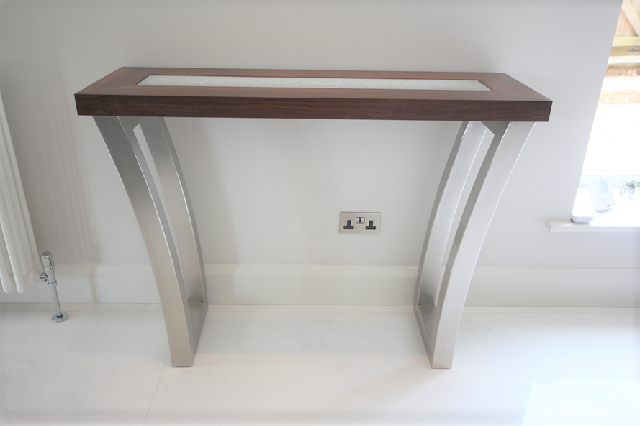 This set of superb console tables lets the simple lines and wonderful quality materials take centre stage. 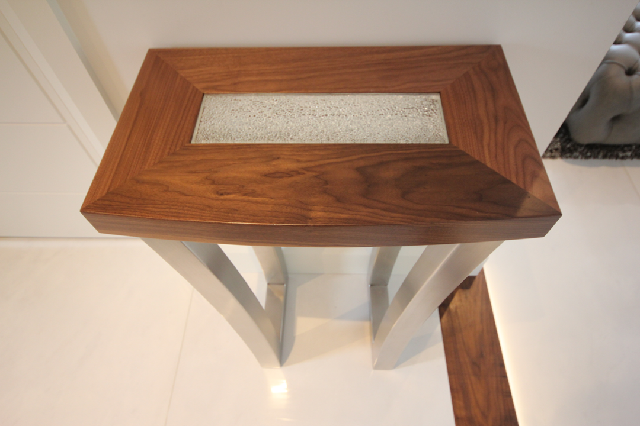 Although a lot of work and the highest quality materials have gone into creating the tables – the design is subtle and refined. 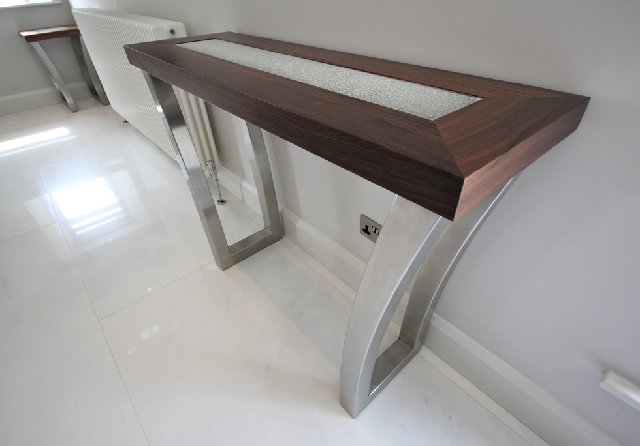 The tables fit perfectly into the clients high quality, contemporary interior. 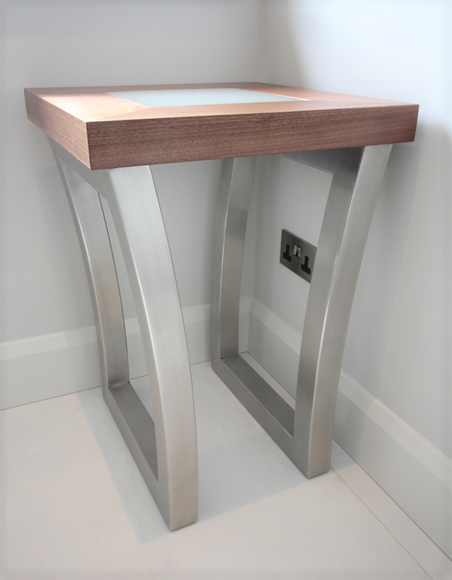 We made 4 tables in total – 2 square corner tables; 1 long console and 1 short console with a curved front.